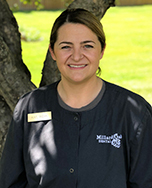 Favorite Aspect of Dentistry: Marjean enjoys educating patients, especially about the benefits of flossing. One Interesting Fact About Yourself: "I like being in the outdoors." Favorite Aspect of Dentistry: Kat enjoys working with patients who are nervous about their dental visits. One Interesting Fact About Yourself: "I have been to the top of the Eiffel Tower in Paris." One Interesting Fact About Yourself: "I'm the youngest of five siblings." 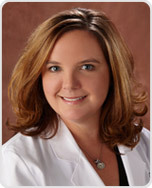 Favorite aspect of Dentistry: "I love being a part of transforming someone's smile." One Interesting Fact About Yourself: "I love to cook." One Interesting Fact About Yourself: "I was born and raised in Texas." Favorite Aspect of Dentistry: Gretchen enjoys working with kids. One Interesting Fact About Yourself: "I have four children, ages 10, 9, 7, and 5." 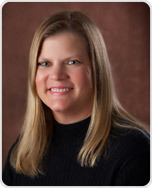 Favorite Aspect of Dentistry: Mary is interested in the amazing transformations that cosmetic dentistry can offer. Hobbies/Clubs/Activities: Nurturing creativity through cooking, reading, knitting (self-taught from YouTube! ), and researching an endless list of new things to learn. One Interesting Fact About Yourself: "I am a practicing licensed massage therapist." Favorite Aspect of Dentistry: Building patient relationships and working with a team where relationship building is an important aspect of patient care.